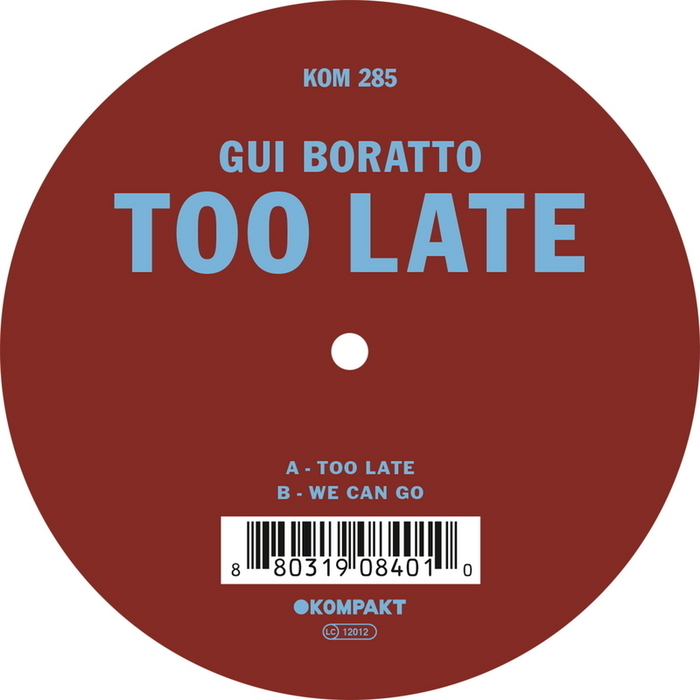 Regular roamer around the Kompakt savannah Gui Boratto drops some more of that upfront tech-house business, rendered crisp and punchy by the lofty production values and hitting all the right buttons for a release that is likely to rock many a sizable crowd. "Too Late" is a slow burning number with a throbbing electro bassline and female vocal hooks, ably slipping into more techy terrain where needed but always shot through with a poppy sensibility. "We Can Go" again brings a touch of pop to proceedings but more in an '80s new wave vein, with the ominous vocals and dark synth lines working wonders on creating an edgy atmosphere.